If you purchase a motorcycle in Massachusetts State, you must apply for motorcycle registration in order to be allowed to ride it on public roads. The Registry of Motor Vehicles (RMV) office handles all motor vehicle registration and titling. The process of registering and titling a motorcycle is typically the same as registering and titling a car. You will need to bring a stamped application to any local Registry of Motor Vehicles (RMV) office. The process differs slightly depending on if you purchased your motorcycle from a private party, an out-of-state dealer or a Massachusetts dealer. The dealer will give you form RMV-1 (Application for Registration and Title) which you have to complete and sign. 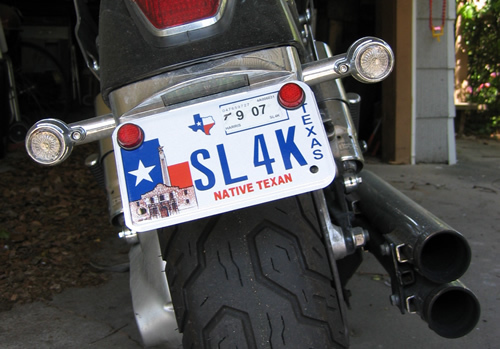 If there is a lien against your motorcycle, make sure it is included in the registration application. Obtain liability insurance policy for your motorcycle. Make sure the insurer has stamped and signed it. If you have a valid Massachusetts driver’s license, Social Security number or identity card, you should provide proof of state residency. You will need to show your Massachusetts driver’s license or Social Security number or identity card or any other proof of residency. You are exempted from this requirement if you are a disabled person, senior citizen, member of the military or nonresident student. A Certificate of Origin if it is a new motorcycle. A title certificate from the previous owner if it is a used motorcycle. Proof of last registration and bill of sale. Pay the registration fee (varies depending on the type of plates and motorcycle type). If you purchase a new motorcycle, the dealer will collect sales tax from you and take it to the state Department of Revenue. If you purchased your motorcycle from a private seller or out-of-state dealer, you will need to follow the above process, except that you will need to submit a completed RMV-1 form if the motorcycle was purchased from an out-of-state dealer. This form can be obtained from any local licensing agent or auto insurance company. For purchase made from a private seller, you will need to provide the bill of sale or title certificate from the previous owner. Once you submit your application and applicable fees and taxes, you will receive your license plates, motorcycle registration certificate and decals. You must then take your motorcycle for inspection within 7 days from the date of registration. You will receive a motorcycle inspection sticker to mount on your motorcycle. Minimum of $20,000 of bodily injury per person and $40,000 of bodily injury per accident. A minimum of $8,000 Personal injury protection (medical expenses and lost wages). A minimum of $20,000 for body injury caused by unused vehicle per person. A minimum of $5,000 for property damage per accident. The Massachusetts RMV will send you a motorcycle registration renewal notice prior to the registration expiration date. You can then proceed to renewing your application by mail, online or in person. You will need to fill out the renewal notice and mail it back or take it in person to any local country treasurer’s office. If you choose to renew it in person, make sure you bring your proof of insurance and license plate number. You can also choose to renew your motorcycle registration online. Make sure you have a valid credit card to pay the motorcycle registration renewal fee. You can apply for duplicate copies of your title or registration certificate if they are damaged or misplaced. This can be done online, by mail, by phone or in person at any local Massachusetts RMV branch.